We live in anti-liberal times, when individual choice is highly suspect. The driving legislative ethos is toward making all actions required or forbidden, with less and less room for human volition. Simply put, we no longer trust the idea of freedom. We can't even imagine how it would work. What a distance we have traveled from the Age of Reason to our own times. No power granted to the state goes unabused. From a historical point of view, the injustice against blacks was perpetrated mostly by governments. Private business does not go in for race-based policies, because it means excluding paying customers. And this is precisely why racialists, nationalists, and hard-core bigots have always opposed liberal capitalism: it includes and excludes based on the cash nexus and without regard to features that collectivists of all sorts regard as important. In the imagined utopias of the national socialists, the champions of commerce are hanged from lampposts as race traitors and enemies of the nation. 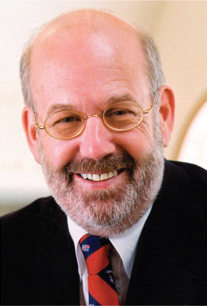 Llewellyn H. Rockwell, Jr. (born 1 July 1944), widely known as Lew Rockwell, is an American libertarian political commentator, economist of the Austrian School and activist. The modern institution of the presidency is the primary political evil Americans face, and the cause of nearly all our woes. It squanders the national wealth and starts unjust wars against foreign peoples that have never done us any harm. It wrecks our families, tramples on our rights, invades our communities, and spies on our bank accounts. It skews the culture toward decadence and trash. It tells lie after lie. Teachers used to tell school kids that anyone can be president. This is like saying anyone can go to Hell. It’s not an inspiration; it’s a threat. 6 October 1996 "Down With the Presidency"
The presidency is presumed to be the embodiment of Rousseau’s general will, with far more power than any monarch or head of state in pre-modern societies. The US presidency is the apex of the world’s biggest and most powerful government and of the most expansive empire in world history. As such, the presidency represents the opposite of freedom. It is what stands between us and our goal of restoring our ancient rights. The presidency is seemingly bound by law, but in practice it can do just about anything it pleases. It can order up troops anywhere in the world, just as Clinton bragged in his acceptance speech at the Democratic convention. It can plow up a religious community in Texas and bury its members because they got on somebody’s nerves at the Justice Department. It can tap our phones, read our mail, watch our bank accounts, and tell us what we can and cannot eat, drink, and smoke. The presidency can break up businesses, shut down airlines, void drilling leases, bribe foreign heads of state or arrest them and try them in kangaroo courts, nationalize land, engage in germ warfare, firebomb crops in Colombia, overthrow any government anywhere, erect tariffs, round up and discredit any public or private assembly it chooses, grab our guns, tax our incomes and our inheritances, steal our land, centrally plan the national and world economy, and impose embargoes on anything anytime. No prince or pope ever had this ability. James Buchanan made a great statement on behalf of the right of revolution. Grant restored the gold standard. Harding denounced US imperialism in Haiti. But overall, my favorite president is William Henry Harrison. He keeled over shortly after his inauguration. 6 October 1996 "Down With the Presidency". John Randolph had only been a Senator for a few days when he gave an extraordinary speech denouncing John Quincy Adams. 'It is my duty,' said Randolph, 'to leave nothing undone that I may lawfully do, to pull down this administration.... They who, from indifference, or with their eyes open, persist in hugging the traitor to their bosom, deserve to be insulted... deserve to be slaves, with no other music to soothe them but the clank of the chains which they have put on themselves and given to their offspring.' John Randolph said this in 1826. This was a time, writes de Tocqueville, when the presidency was almost invisible. If we cannot say this and more today, when the presidency is dictator to the world, we are not authentic conservatives and libertarians. Indeed, we are not free men. Stock markets are never better performing than during a hyperinflation. Interest rates are rock bottom, but only through artificial means. Gross Private Domestic Investment is still falling off a cliff, having already completely erased ten years of investment from the record of history. Here is a fundamental factor that suggests that terrible things are still to come our way. And I guess I'll have to put this in italics because the point seems to be lost in the shuffle: unemployment is still rising, even soaring straight to double digits! The sociology of this intrigues me to no end. Unemployment is one of the human elements that journalists are supposed to glom onto. Oh, look at poor Bob and Jane and how they lost their jobs and have nowhere to go, etc., etc. Talk about human interest! Where are the weepy stories about the plight of people wandering around with no work? Instead, we get happy clappy stories about how things are not nearly as bad as they might be had the great and powerful Obama of Oz not appeared to save the day. There is also the remarkable spin that things are getting worse, yes, but at a slower pace than before – an observation that might be most commonly heard in Hell. 6 August 2009 "Obama and the Economy"
The right path to health-care reform is the market path (no subsidies, no monopolies such as drug patents, no licensure, no anything) that tends toward universal distribution at very low prices and relentless improvement in service. The wrong path is to make health care run the same way as the post office. Obama seems to favor the latter path, even though he admits that it is the least well-performing one. This is surely the definition of fanaticism. If the mobs aren't angry, they should be. 13 August 2009, "Obama and the Post Office"
In a market-based labor contract, there is no exploitation. People come to agreement based on their own perceptions of mutual benefit. A person who believes it is better to work for $1 an hour rather than sit at home doing nothing is free to make that contract. In fact, a person who works for a negative wage—who pays for an internship, for example—is free to make that deal too. 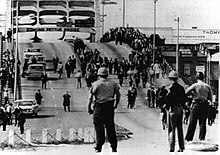 I propose to you, then, a definition of exploitation that comes from the writings of William H. Hutt: violence or threat of violence implied in the negotiation of anything affecting the life of a worker or employer. In that sense, the present system is exploitation. Workers are robbed of wages. Employers are robbed of profits. Poor people and young people especially are robbed of opportunity. As quoted in "How to Fix the Jobs Problem" (29 January 2010). As quoted in "The Freedom of Association" (1 June 2010). 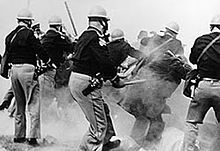 From a historical point of view, the injustice against blacks was perpetrated mostly by governments. Private business does not go in for race-based policies, because it means excluding paying customers. In the end, what is really needed is a fundamental rethinking of the notion that the state rather than private markets must monopolize the provision of justice and security. This is the fatal conceit. No power granted to the state goes unabused. This power, among all possible powers, might be the most important one to take away from the state. As quoted in "The Police State Abolishes the Trial", (30 September 2011), Mises Daily, The Ludwig von Mises Institute.